In a report by PwC, it showed that blockchain’s impact on HR and the workplace will be transformation. In fact, the report suggested that this transformation is “not just for companies, but also for individuals who work for them”. In this exclusive, Phil Aldridge, chief technology officer, Peoplewave speaks to Human Resources on how to use blockchain technology in optimising your HR processes. Q A topic that is widely discussed but rarely understood, could you share with us a summary on what exactly is blockchain technology? Simply put, blockchain is a distributed and secure database. One of the main reasons why blockchain has captured the imagination of many is because of its incorruptibility. 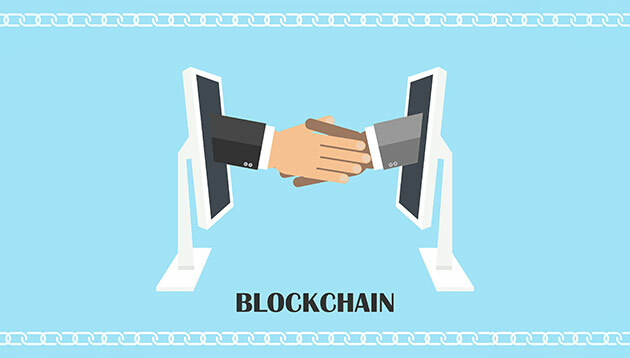 Blockchain records and stores every transaction that occurs in the network and each new transaction is added only after being verified by the network. This creates a “historical ledger” of authenticated and trustworthy data. Q With that said, how can blockchain technology benefit HR? With blockchain establishing a secure, transparent and error-free database of accurate and verified data, companies are able to make faster and more informed decisions as well as enjoy cost efficiencies. In HR terms, having such authenticated and trustworthy data is invaluable. Whenever a potential candidate sends his or her resume, HR typically has to go through a process of verifying the data to ensure that the candidate’s credentials and employment history are genuine and can be trusted. Blockchain technology could eliminate this manual, labour-intensive verification process. Q On that note, under what HR functions can blockchain technology be used in? The potential for blockchain technology is enormous. Some of the areas of immediate interest are eliminating manual processes, recruitment and talent acquisition, managing cross-border payment and contracts, automating payroll as well as enhancing fraud prevention and cybersecurity. Current employment details: company name, position, start date. Previous employment details: companies’ names, positions held, start and end dates. Q Eliminating manual processes is definitely a huge plus. What other pros can blockchain technology offer? The pros are that data has only to be verified and validated once and then entered into the blockchain as secure, trustworthy and immutable data that can be relied on for future recruitments. Imagine scenarios where the previous employer has gone out of business and can no longer be contacted, or historic employment data have been destroyed after the mandatory record-keeping period. In such cases, a potential employer would not be able to verify the candidate’s past employment data. This could be taken one step further by including accurate and verified performance data on blockchain to provide employers with a more complete picture of the candidate. This would also allow individuals to own and take control of their own performance data across all past employers for the first time. Q Great! But what is the first step that HR professionals can make to experiment with the technology? There is a wealth of information available online on blockchain technology and new developments taking place every day. Start by developing a basic understanding of the technology and keep reading to stay abreast. Then, consider business-specific issues that your organisation faces and scan the marketplace for leading vendors both in HR blockchain solutions and even those outside the industry for possible cross-application. Probably the most advanced area of blockchain in HR at the moment is overseas payment for contract employees. Eliminating the lengthy transfer time that banks take to move money and reducing fees will have a substantial impact on an organization that has many overseas employees. Advancements in the validation of education data is likely the next to become mainstream. Q What are some of the pitfalls that they should look out for? It is important to ensure that the blockchain solution complies with the organisation’s country data privacy ordinance. With the General Data Protection Regulation (GDPR) coming into effect at the end of May, this will impact any organisation globally that holds the personal data of European Citizens. Q For those looking to hire a blockchain specialist, what would you say are the key skills that make a good blockchain developer? Two aspects mainly. First, an understanding of centralised and decentralised networks will help you understand what value decentralised architectures such as blockchain brings to the table. Q As experts in blockchain-powered HR solutions, how do you see this technology developing in HR within the next three years? I see blockchain technology developing extremely quickly and mainly in the six areas I listed earlier. In three years, I would expect these areas to be mainstream solutions. This will allow the HR function to gradually spend a lot less time verifying and validating data which will be all done via blockchain to playing a pivotal role in enhancing the employee experience. Perks such as free snacks in the office may be small in dollar amount, but bosses should think twice before removing them, warn ex..